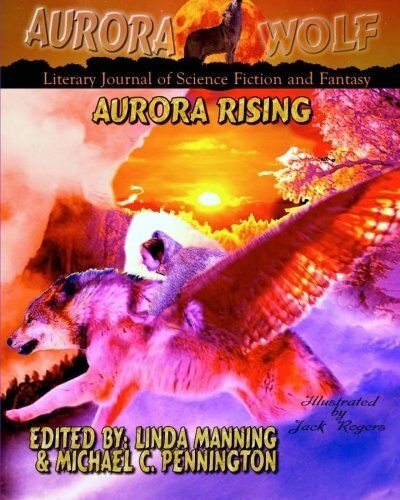 &#x201c;Aurora Rising&#x201d;, is the second in a series of three anthologies. Within are twenty-three of the best short stories collected from the second and third quarter after online publication at Aurora Wolf Literary Journal of Science Fiction and Fantasy. http://aurorawolf.com/ Authors from around the world have responded to our call. Fairy Tales, Science Fiction and Fantasy stretch the imagination within these pages. High adventure where you will experience extraordinary worlds, triumph against evil and prevail against the unknown. Aurora Wolf publishes stories where bright dreams and memories are created for the reader&#x2019;s enjoyment. Our anthologies feature speculative fiction with strong characters and morals that uplift the soul, encourage positive thought and bring hope into our world. Please join us for a new adventure. Special thanks to authors Keith Kennedy, Sue Babcock, Charles Richard, Alex P. Perdian, Joe Jablonski, Manda Benson, Steve Servis and John Miller.